Bluebird Cherry Blossom night lamp. 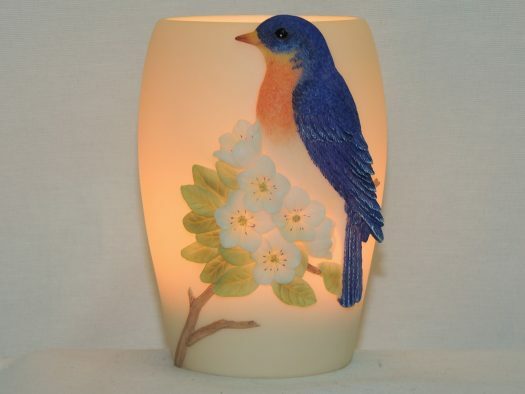 This Bluebird and Cherry Blossoms memory lamp is hand painted and made of bonded marble. 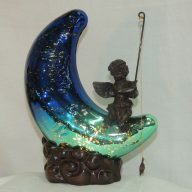 The bluebird and cherry blossoms are sculpted and raised, which offers a wonderful three dimensional look. The bluebird’s feathers are a gorgeous blue, with the tips of the feathers slightly white. It’s chest is white with vibrant orange and yellow toward the top. The cherry blossoms are white with yellow and green stamens and red tips. The leaves are green and yellow with a beautifully sculpted light brown branch supporting them. 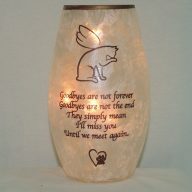 This night lamp makes a wonderful gift alternative to flowers. 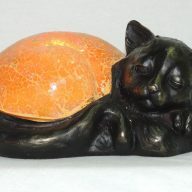 Measurements are 4 inches wide and 5.25 inches high and this accent lamp uses a maximum 15 watt bulb, which is included.